Oh its so easy to complain and moan about life – the weather, how expensive everything is, how unwell we feel, how cold/hot we are, how old/wrinkled/fat/thin/unfit we are. How many tragedies there are in the world and how we cant do anything about it, how corrupt our politicians are. Some of us just seem to be innately pessimistic and negative. It is great to know that we can change. We can start changing today, right now. We can look around us and notice something we are grateful for. We can observe something good in our lives, in the world around us, in our partner, our boss, our challenging child, our bodies. The minute we start shifting our focus, our energy starts shifting. This then has a knock on effect on everyone we come into contact with. If we all did this, every day, within such a short time, the world would be a much easier place to live in. Mood shifters. As we are starting to work with more positive thoughts that are taking us in the direction of our dreams, maybe using some affirmations, we want to be feeling good. Normally the reason why most people want change in their life , is they want to feel good. You want to enjoy your life. Enjoy what you’re doing all day. You cant be feeling good and thinking negative thoughts and you cant be feeling bad and thinking positive thoughts. Your feelings are a good indicator, a good feedback system for where your mental activity is focussed right now. If you aren’t feeling good, you are thinking negatively. Stop. Observe what you are thinking. Try and detach. If this isn’t possible then you need to start working with some “mood shifters”. If you aren’t feeling good, then do something from your mood shifters list. If you then notice that you don’t want to do one of these things that you know will make you feel better – notice that! Observe. That’s very interesting. Why wouldn’t we want to do something that you know will make you feel better. Why are you self-sabotaging? It is normally because the ego is resistant to change and wants us to stay as we are. Stay with our old habits of negative thinking. Even though its not great for us, its familiar and the ego likes familiarity. Dont allow your ego to sabotage the new you. If you want to see change in your life, start doing things differently, start attending to your needs, start honouring your desire to feel good. Eat well, exercise your body. These things make you feel good. Write your mood shifters list now. 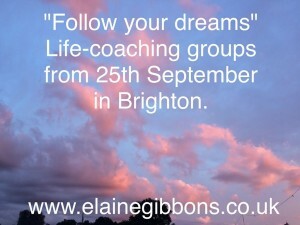 Remember, its not indulgent to change something/to shift your mood/to want to feel good. Its vitally important. The more people that start doing this today, the ripple effect goes out far and wide. As individuals we can make a difference. Do something different today – feel good! 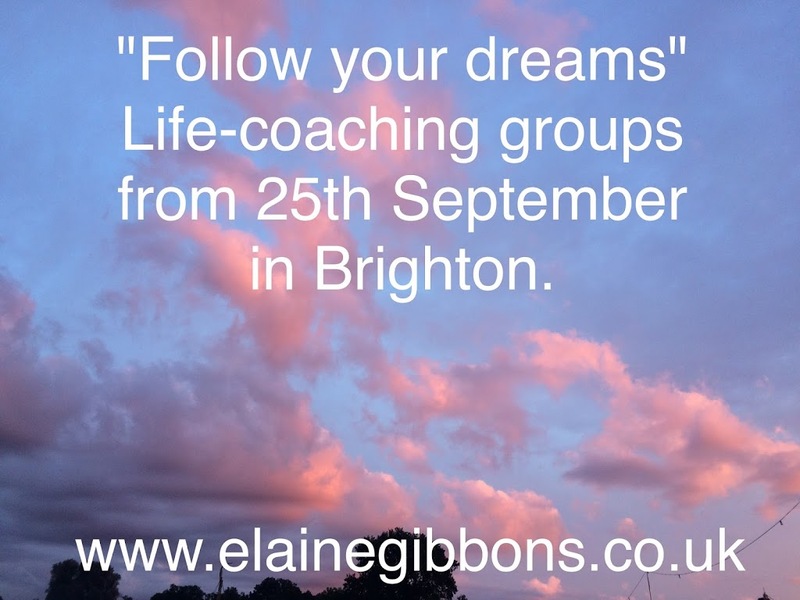 Follow your Dreams and transform your life – course, groups and meditations from September 2015 in Brighton. Follow your Dreams – daily techniques to enable this!